The lazy days of summer may be winding to a close, but if there's one thing to look forward to, it's back-to-school fashion. Whether you're headed back to the classroom or the office cubicle, take heart—and notes. From vintage varsity jackets to a ladylike take on the schoolboy satchel, here are 14 campus-inspired threads that will earn you gold stars for both style and sustainability. 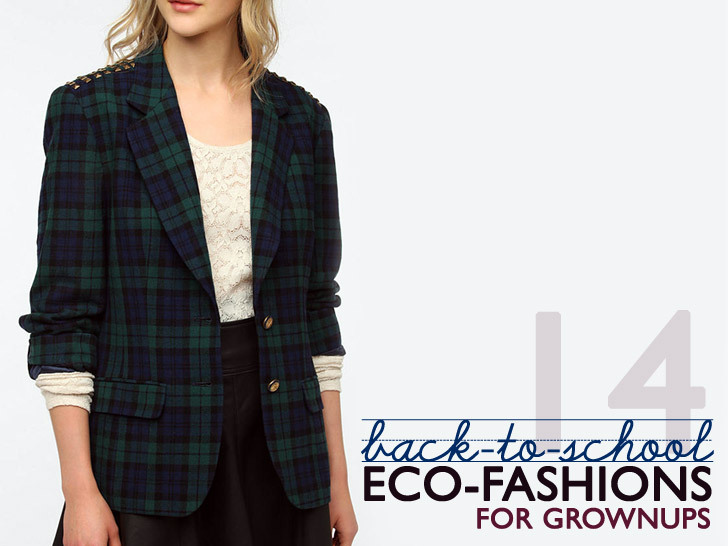 Above, Urban Renewal's revamped plaid blazer ($89), embellished with pyramidal shoulder studs, is anything but buttoned-up. Plaid isn’t the sole province of lumberjacks and Catholic schoolgirls. Carrie Parry’s pleated check skirt exudes a quiet sophistication with its tailored A-line silhouette, high waistband, and razor-sharp knife pleats. Made in New York City from 100 percent handwoven silk georgette, and lined with 100 percent Bemberg cupro, it even has a altruistic component: For every garment you buy, the label will plant a tree through Trees for the Future. Recapture your school spirit with an authentic 1980s varsity jacket from the now-defunct Maple Athletic Sportswear. No matter that the only game you play is Angry Birds. Decked in navy corduroy and trimmed in gold, this collegiate topper is bound to unleash your inner jock. Channel your inner mod schoolgirl with IOU Project’s reversible scooter dress. Each one-of-a-kind piece is fairly made to order in India from a handwoven madras of your choice. Plus, a fully traceable chain of custody, accessible via smartphone, connects you with your garment’s journey. No stuffy tweeds here. Chinti and Parker’s heart-shape elbow “patches” make a playful statement on a 100 percent cashmere sweater. Lecture in five minutes and nothing to wear? Ecoology’s “Acai Berry” dress is a throw-on-and-go number you can always rely on. A blend of natural linen, organic cotton, and recycled cotton, the preppy-cool garment will have your study hall green with envy. Nippy temperatures call for cushier fabric. Monkee Genes has your booty covered with its fairly crafted, certified-organic cotton “Babycord” jeans, which feature a thinner-than-usual rib that produces less bulk than traditional corduroy. Leaf-stomping, yes. Animal-stomping, no. 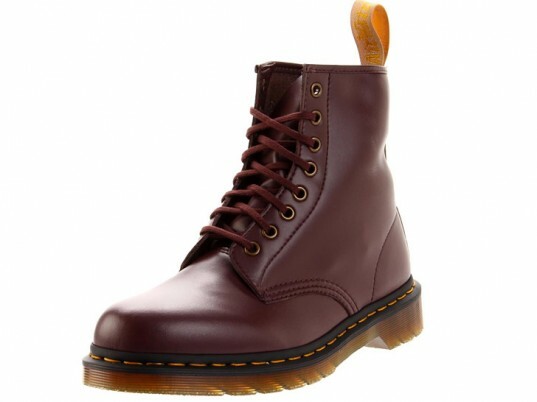 The vegan version of Dr. Marten’s iconic eight-eye boot offers the same Goodyear-welted upper and air-cushioned sole as its leather counterpart, all without harming a hair on a single critter’s head. 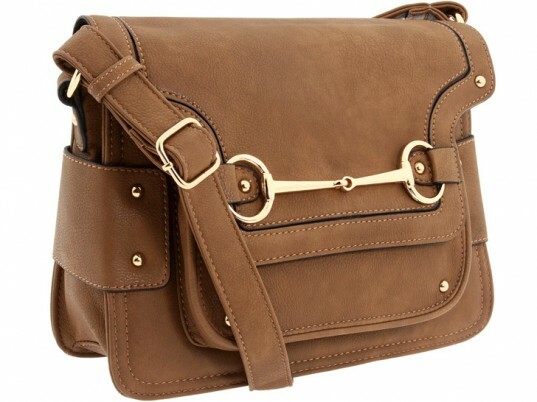 The English schoolboy satchel gets a refined update, courtesy of Melie Bianco. The faux-leather carryall can easily accommodate a semester’s worth of gear and still have room to spare for an iPad or e-reader. Put your best foot forward—and avoid ticking off the librarian—with a pair of Suno’s quiet-soled sneakers. Ethically crafted in Kenya from fabric offcuts and recycled rubber, each shoe benefits the David Sheldrick Wildlife Trust, a Kenyan reserve devoted to protecting endangered elephants and rhinos. Look like the picture of diligence, no matter what you’re reading, with a >handcrafted Kindle cover from Rebound Designs. Upcycled from an actual college textbook, each one-of-a-kind case wears its scuffs and dents like a badge of honor. 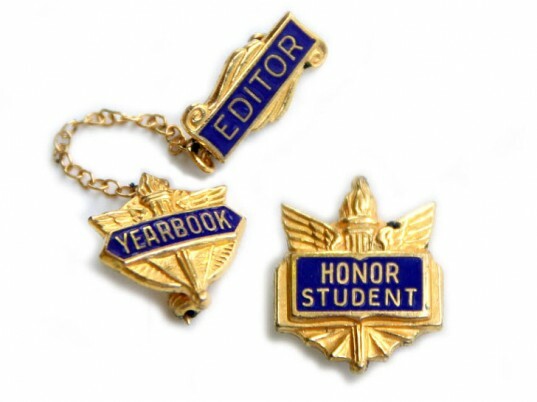 Honor student or just wish you were? Relive your glory days—or reinvent your past—with a set of vintage sweater pins that offer instant street cred. Give any sweater or jacket a preppy makeover with Stella Neptune’s iron-on elbow patches. Recycled from discarded 100 percent cashmere sweaters, the “Cashmends” come in an array of solids, stripes, and prints, including herringbone. Handmade in the United States, the brass-and-rayon “Nouveau” bracelet from Anthropologie features beaded, thread-wrapped details, plus a blank faceplate for inscribing your or your homeroom crush’s initials. I'm applying for a job at Apple. Thought it would be a fun prop. Maybe Birthday present. Plaid isn't the sole province of lumberjacks and Catholic schoolgirls. Carrie Parry's pleated check skirt exudes a quiet sophistication with its tailored A-line silhouette, high waistband, and razor-sharp knife pleats. Made in New York City from 100 percent handwoven silk georgette, and lined with 100 percent Bemberg cupro, it even has a altruistic component: For every garment you buy, the label will plant a tree through Trees for the Future. 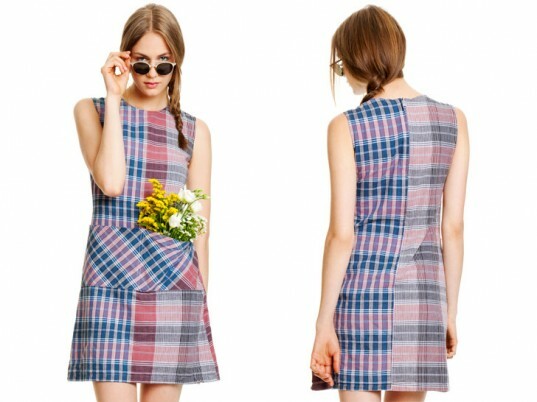 Channel your inner mod schoolgirl with IOU Project's reversible scooter dress. Each one-of-a-kind piece is fairly made to order in India from a handwoven madras of your choice. Plus, a fully traceable chain of custody, accessible via smartphone, connects you with your garment’s journey. No stuffy tweeds here. Chinti and Parker's heart-shape elbow "patches" make a playful statement on a 100 percent cashmere sweater. Lecture in five minutes and nothing to wear? 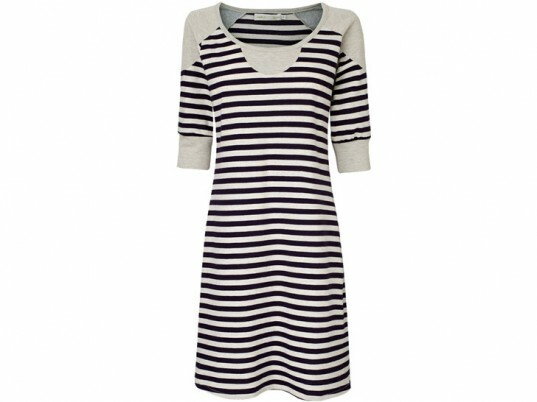 Ecoology's "Acai Berry" dress is a throw-on-and-go number you can always rely on. A blend of natural linen, organic cotton, and recycled cotton, the preppy-cool garment will have your study hall green with envy. Nippy temperatures call for cushier fabric. Monkee Genes has your booty covered with its fairly crafted, certified-organic cotton "Babycord" jeans, which feature a thinner-than-usual rib that produces less bulk than traditional corduroy. Leaf-stomping, yes. Animal-stomping, no. The vegan version of Dr. Marten's iconic eight-eye boot offers the same Goodyear-welted upper and air-cushioned sole as its leather counterpart, all without harming a hair on a single critter's head. The English schoolboy satchel gets a refined update, courtesy of Melie Bianco. The faux-leather carryall can easily accommodate a semester's worth of gear and still have room to spare for an iPad or e-reader. Put your best foot forward—and avoid ticking off the librarian—with a pair of Suno's quiet-soled sneakers. Ethically crafted in Kenya from fabric offcuts and recycled rubber, each shoe benefits the David Sheldrick Wildlife Trust, a Kenyan reserve devoted to protecting endangered elephants and rhinos. Look like the picture of diligence, no matter what you're reading, with a >handcrafted Kindle cover from Rebound Designs. 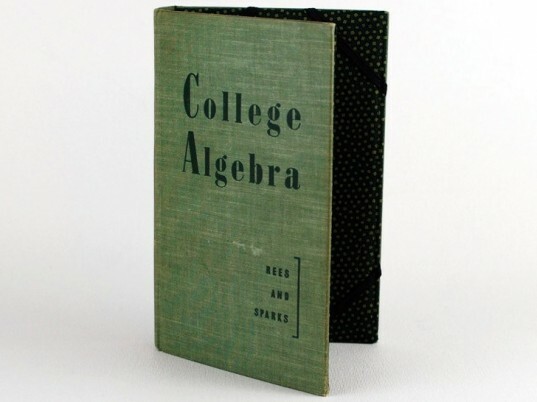 Upcycled from an actual college textbook, each one-of-a-kind case wears its scuffs and dents like a badge of honor. Give any sweater or jacket a preppy makeover with Stella Neptune's iron-on elbow patches. 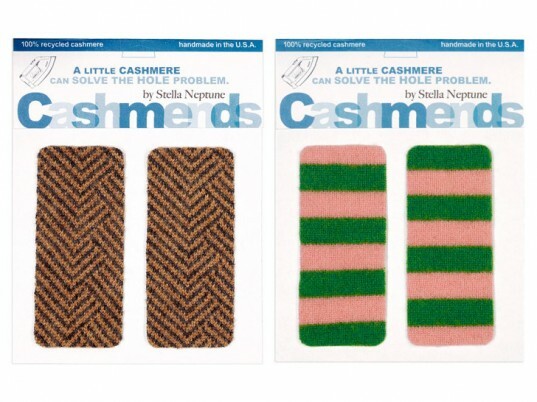 Recycled from discarded 100 percent cashmere sweaters, the "Cashmends" come in an array of solids, stripes, and prints, including herringbone. 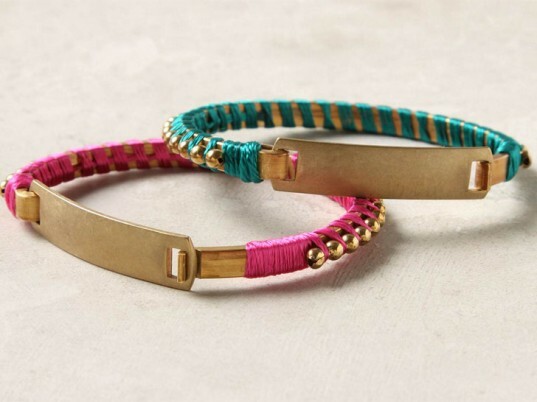 Handmade in the United States, the brass-and-rayon "Nouveau" bracelet from Anthropologie features beaded, thread-wrapped details, plus a blank faceplate for inscribing your or your homeroom crush's initials.